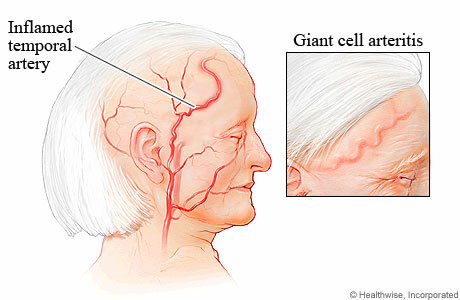 Temporal arteritis/giant cell arteritis (GCA) is a granulomatous vasculitis that commonly involves the branches of the carotid artery (although can involve many other large/medium sized arteries including the aorta). Underlying cause is unknown. This condition can lead to ischemia/infarction of tissues (inflammatory process in arteries can occlude the involved artery. This can even eventually lead to blindness in patients that is irreversible (infarction of tissues supplied by the blocked ophthalmic artery). Elevated ESR and CRP will be observed in these patient. Artery biopsy (often temporal artery) can demonstrate focal granulomatous inflammation. 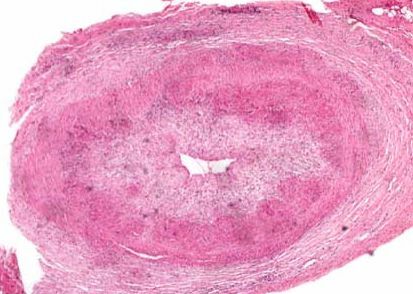 It is important to note that these lesions are segmental and biopsy requires a long segment of the artery to evaluate for the presence of GCA. A negative result (given segmental nature) therefore does not rule out this diagnosis. High dose corticosteroids (ex prednisone) are used to prevent blindness in this condition. Often treat for 1-2 months before tapering. Prognosis of the patient depends on when exactly they were treated for this condition. Delaying treatment can lead to irreversible blindness in patients. Permanent blindness is a possible due to ophthalmic artery/central retinal artery occlusion. Polymyalgia rheumatica is often associated with this condition (especially on exams). 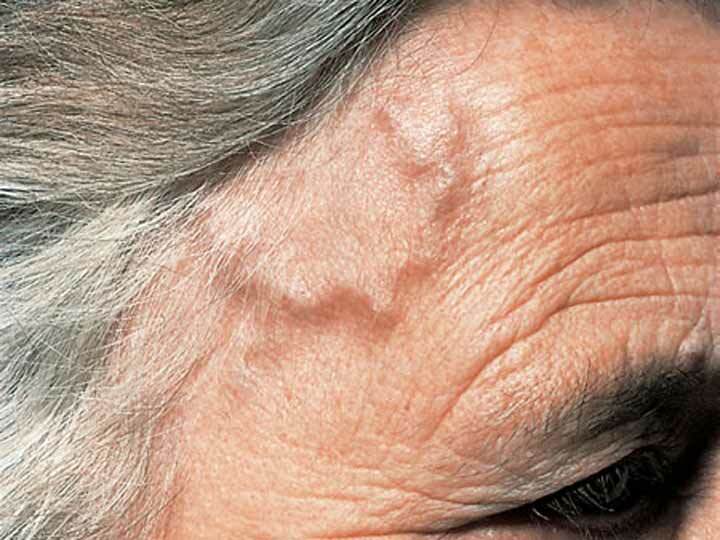 This disease most commonly affects the branches of the carotid artery. As soon as this condition is suspected high dose corticosteroid should be started to prevent the possibility of the patient developing blindness. Giant cells refer to cells that are produced by the fusion of multiple macrophages.